Students are back from Thanksgiving break, and no doubt the next few weeks will just seem to fly by! 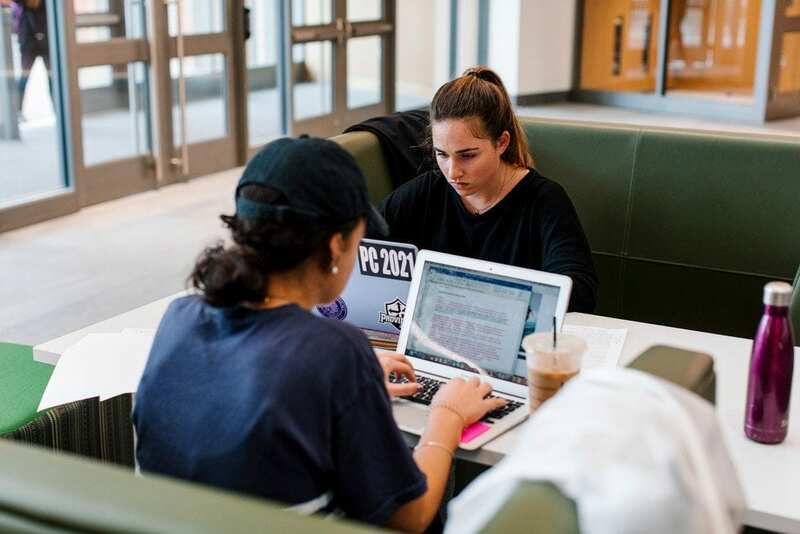 There is excitement about the upcoming holiday season, but for most students the focus of attention is on academic work – meeting deadlines for papers and class projects, while getting ready for final exams. Social activities are also on the increase with most clubs and organizations planning end-of-semester activities before classes come to a close. As director of the Parent Program, I can’t stress enough the important role parents can play in helping your students to connect with campus resources, especially at this time of year. If they are feeling a bit overwhelmed, you can recommend that they seek out a counselor, a chaplain, a tutor, a faculty member, or even drop by the Student Health Center. There are “helpers” all over campus — students just need to seek them out. Dr. Rosemary Mugan, director of our Personal Counseling Center, suggests that parents remind students that, “To stay healthy and happy in body, mind, and spirit, try to keep to a routine that includes regular sleep, nutrition, exercise, work, and social time. And don’t forget the super important ‘me time.’ Time alone can be rejuvenating and essential for those of us who are exceptionally busy and/or have introverted traits.” In other words, eat right, set priorities, and for heaven’s sake try to get enough sleep. Simple advice that can be hard to follow when you feel pulled in lots of different directions. Although students may have just returned to school after Thanksgiving break, consider sending your son or daughter a package with favorite snacks or goodies. It doesn’t have to be elaborate or expensive — just a little TLC from home, which can be a real morale booster. Finally, one mom recently shared that she reflects on our “Prayer for Parents and Guardians” when she knows her son is especially stressed or overwhelmed. In fact, she has posted the prayer on her refrigerator so it is close by. I think this has to be one of my favorite suggestions!